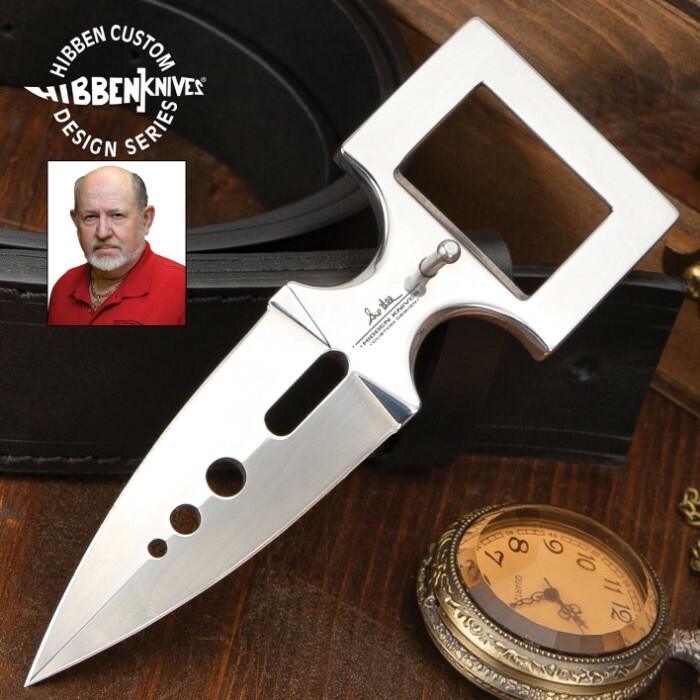 Gil Hibben Gentleman Buckle Knife | BUDK.com - Knives & Swords At The Lowest Prices! The latest in the Hibben Custom knife collection already has heads turning. Classic and uniquely designed masculine belt buckle constructed from solid 420 stainless steel and that snuggly tuck away into an imitation leather belt (item GHBLT, available in sizes S (27-32), M (33-36), L (37-40), or XL (41-44)sold separately.). Simply remove from the hidden belt sleeve and you have access to a cutting edge. 3 1/4" blade, 5 3/4" overall. United Cutlery, GH5010.